Two graduate students in the Tropical Conservation Biology and Environmental Science program at the University of Hawaiʻi at Hilo received awards for their research at the 25th Annual Hawaiʻi Conservation Conference held July 24-26 on O`ahu. Genevieve Blanchet took first place for Outstanding Graduate Student Oral Presentation for her work on “Genomic diversity in the ‘critically-endangered’ `Alalā (Hawaiian crow, Corvus hawaiiensis).” Her research details the genetic diversity of the `Alalā population, comparing early and late bottleneck developments to better understand the history, and inform captive population management, of this critically-endangered species. 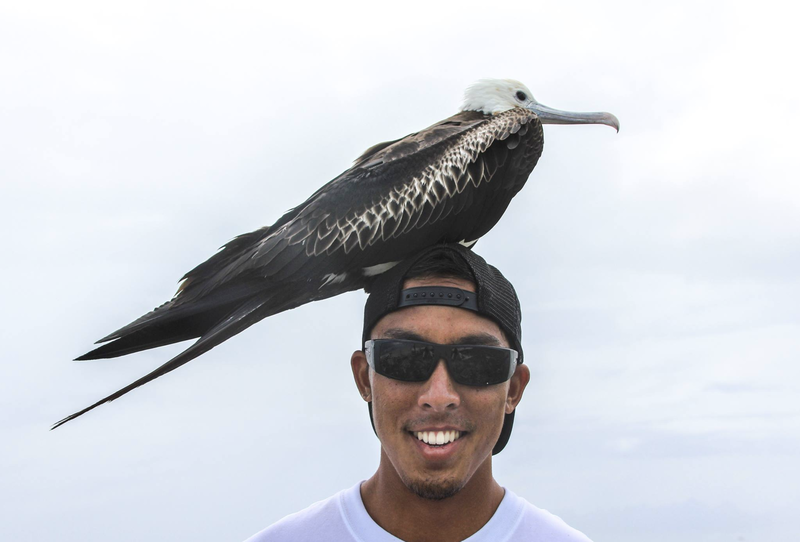 Blanchet specializes in avian conservation and genomics and is a member of UH Hilo’s Conservation Genomics Research Group. 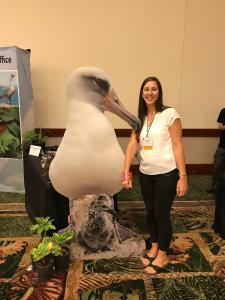 She is mentored by Jolene Sutton, Ph.D, Renee Bellinger, Ph.D, and Patrick Hart, Ph.D.
Koa Matsuoka, who specializes in avian seed dispersal, was awarded Runner-Up for Outstanding Graduate Poster Presentation for his research on “Evaluating the Seed Dispersal Efficacy of Hawaiʻi’s Last Functionally Extant Frugivore.” His work examines the diet diversity of the native ʻōmaʻo (Hawaiian thrush), ʻalalā crow, and other exotic birds to compare each species’ effects on seed rain and seed germination of Hawaiian fruiting plants. The data may inform resource managers of the impacts reintroducing native fruit-eating birds will have on the plant community in forests where they have been extirpated. Matsuoka is mentored by Becky Ostertag, Ph.D, Patrick Hart, Ph.D, and Stephanie Yelenik, Ph.D. The Hawaiʻi Conservation Conference gathered scientists, policymakers, conservation practitioners, educators, students and community members from Hawaiʻi and the Pacific to discuss conservation.